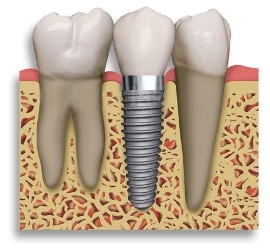 Did you know that dental implants are frequently the best treatment option for replacing missing teeth? 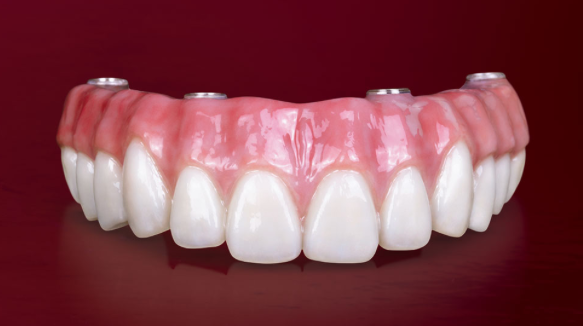 Rather than resting on the gum like removable partial dentures, or using adjacent teeth as anchors like fixed bridges, dental implants are long-term replacement of missing natural teeth. Dr. Dean has a meticulous, three dimensional (3D) approach to treatment planning, surgical implant placement AND restoration. It begins with a CT SCAN of your jaw to determine if appropriate width and length of bone is available to place the proper dental implant. Procedures are performed in office with oral and/or intravenous sedation based on YOUR needs all in ONE place. From simple to more complex implant cases, bone grafting to maxillary sinus elevation surgery, call our office for a consultation. Statistics show that 69% of adults ages 35 to 44 have lost at least one permanent tooth to an accident, gum disease, a failed root canal or dental decay. Furthermore, by age 74, 26% of adults have lost all of their permanent teeth. Many patients who have selected dental implants describe a quality of life that is much more comfortable and secure than the lifestyle endured with fixed bridges or removable dentures. 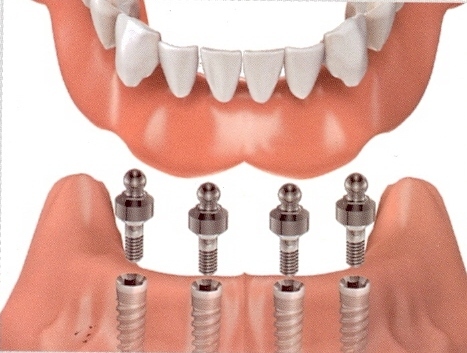 Implants can be used to replace one or more missing teeth or serve as a stable anchor for a upper or lower denture. They allow people to enjoy a healthy and varied diet without the restrictions many denture wearers face. The majority of dental implants and bone graft can be performed in the office under local anesthesia, with or without intravenous sedation. Anesthesia and surgical options will be discussed during your consultation with Dr. Dean. What Type of Imaging Is used? Our office uses cone beam imaging to insure precise treatment planning and surgical placement of implants.